Winner of the 2010 Sundance Film Festival Grand Jury prize, Winter’s Bone is a breed of independent filmmaking unlike any other. Adapted from a 2006 novel by Daniel Woodrell, Winter’s Bone takes a grippingly realistic look at life in the impoverished Ozarks region in southwestern Missouri. Yet it is also a frightening country noir – a term coined by Woodrell – about the dangerous blood ties that drive much of the film’s narrative. 17-year old Ree Dolly (Jennifer Lawrence) is the primary caretaker for her young siblings and her incapacitated mother. She learns that her father, a notorious methamphetamine dealer, has vanished and that after his last arrest, he put her family’s property up as bond. To save her home and protect her family, Ree must find her father, dead or alive. Ree treks through the backwoods, begging various family members for information on her absentee father’s whereabouts to no avail. Her extended family, including her uncle Teardrop (John Hawkes) are guided by a code of silence that keeps them pitted against the law. When the clans ways are threatened by Ree’s search, she is given false leads and, worst of all, beaten. In spite of her desire and attempts to escape her roots, Ree has been initiated in. Winter’s Bone is strikingly similar to Courtney Hunt’s Frozen River. Familial strife is centered around dire economic and political circumstance. Like Frozen River, Winter’s Bone can arguably be defined as a Neo-Neorealist film, those American independent films that have emerged since 2006 and depict harshly realistic portrayals of American life. 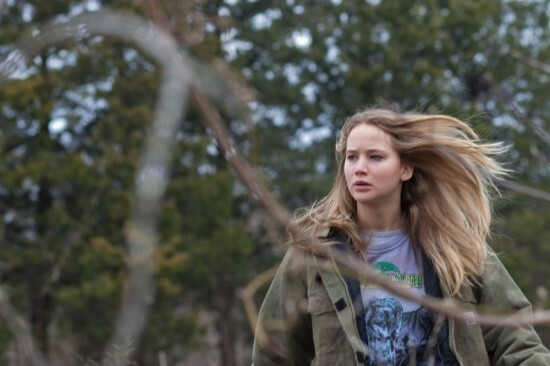 The noir aspects of Winter’s Bone sometimes mask what is Neorealistic – the long takes, the presence of nonprofessional actors, the use of a real setting. These techniques and markers of authenticity, such as when a banjo-laced performance graces the screen, coupled with the harrowing dangers of Ree’s quest only magnify the emotional intensity of the film. Jennifer Lawrence’s unforgettable performance is something marvelous. In a film dependent on one character’s tenacity, Lawrence carries the film with her low Southern accent and every stubborn stare. Ree has been dealt unfortunate cards. Her responsibilities to her siblings means she cannot escape her ancestral ties, although that would never be an easy achievement for her to begin with. At just 17, her choices could mean life and death. This fact never escapes us because of Lawrence’s performance. The message behind Winter’s Bone is clear. As long as a version of the family structure survives, then the path to getting there, however horrific it may be, is worth the struggle.